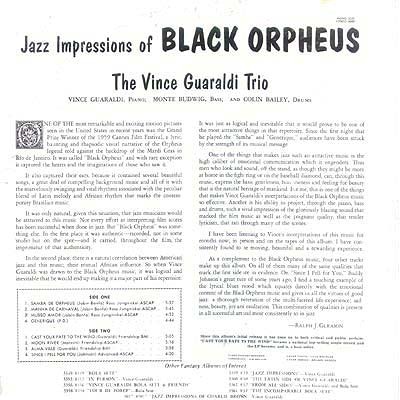 Notes: Along with the popular "Charlie Brown" music Vince and his trio also turned out excellent jazz records. 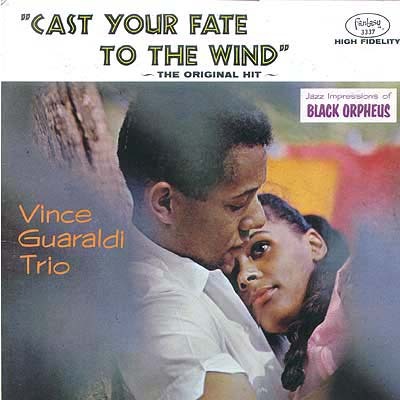 This selection was the based around the soundtrack from the film "Cast Your Fate to the Wind". The story of Orpheus placed against the location of Rio de Janeiro during Mardi Gras. There are four other tunes here as well with a similar fell and tonal quality. Striking cover photo on the front with some in depth liner notes concerning the film and Guaraldi's interpretation of the music therein.